Looking "where to sell my 1964-2004 Porsche 911?" Ask the Chicago Car Club! Are you wondering "where to sell my 1964-2004 Porsche 911 ?" 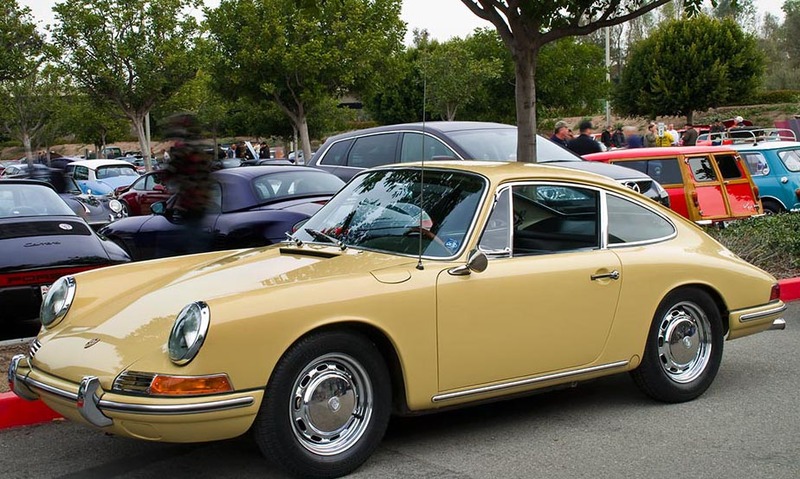 The Chicago Car Club is interested in classic cars of all makes and models, especially a 1964-2004 Porsche 911. We make the process of selling your 1964-2004 Porsche 911 quick and painless. In just a matter of hours we will have your classic valued and, if you do so choose, turned into money in your pocket. All it takes is a phone call or electronic inquiry to get the ball rolling. Porsche’s 911, since its debut at the Frankfurt Motor Show in 1963, has seen phenomenal success in every respect. It has sold well, won many, many races, and has garnered a cult-like following among automotive enthusiasts. The 911’s rear-engined configuration and general body design has remained largely the same throughout the 50 years of 911 production. No matter what model year, just about anybody can identify the 911, no matter their level of automotive interest. For more than 50 years, the 911 has been at the heart of the Porsche brand. More than 820,000 Porsche 911 cars have been built, making it one of the best selling sports cars of all time. Many of the innovations that made the 911 such a great road car were derived from Porsche’s massively successful racing program. Ferry Porsche described the 911, “The 911 is the only car you could drive on an African safari or at Le Mans, to the theater or through New York City traffic.” This car will make itself at home no matter what you throw at it, whether that be on the race track, or in the city as a daily driver. When the 911 was unveiled in 1963, it served as a more powerful and comfortable replacement for the 356. The earliest 911s were equipped with a rear-mounted boxer motor, much like the 356, but with 1991 cc compared with the 356’s 1582 cc unit. This small 2-door coupe had a 2 + 2 seating configuration with a small back seat. While the 911 has evolved tremendously in terms of performance and usability over the course of its extremely long production run, there is a certain 911-element that shines through in every generation of 911. Getting out of a 911 from the 1960s and into a 911 from the 2000s is surprisingly similar. While there are of course differences, the 911 DNA is easily recognizable. From the sound to the balance and power delivery, the 911 has seen many tweaks over time that have sculpted it into the ideal sports car.